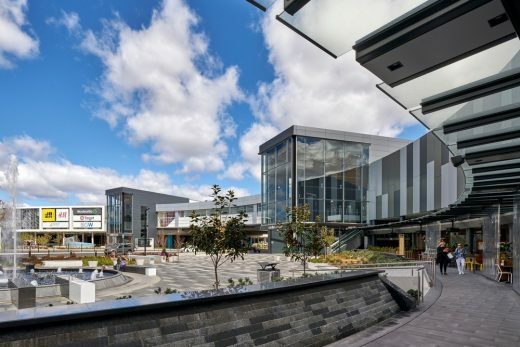 The expansion of one of New Zealand’s largest shopping centres continues, a NZ$220 million development. 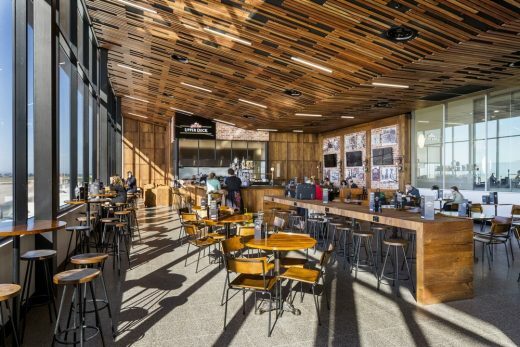 Work continues on the $74 million development masterplan of the Shellharbour Club on NSW’s south coast, with new eateries now open and further upgrades beginning soon. The $200 million expansion of Narellan Town Centre in Sydney’s south-west, opened earlier this year by NSW premier Gladys Berejiklian, and cleverly showcases the expertise of this award-winning Australasian architecture firm. Construction on Raffles City Changning in Shanghai is complete, unveiling the world-class retail design of acclaimed Australasian architecture firm The Buchan Group. Raffles City Changning comprises two retail podiums, three office towers and five heritage buildings restored from the former St Mary’s School – the first girls’ school in Shanghai – and will be a lifestyle destination that combines both new buildings and the site’s existing heritage buildings. The integrated development will feature a large shopping mall, gourmet supermarket, cinema, restaurants and entertainment experiences. The significant retail project is the second Raffles City development in Shanghai for CapitaLand, one of Asia’s largest real estate companies. 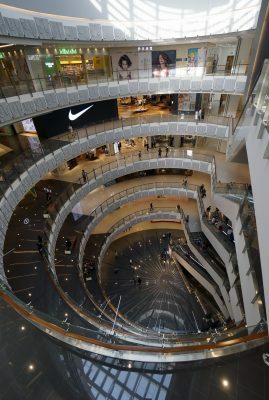 Working collaboratively with P&T Architects from Hong Kong, The Buchan Group was responsible for the planning and interior design of the retail podium. The Buchan Group Director Phil Schoutrop said CapitaLand wanted to replicate the success of Buchan’s previous work in Shanghai and create a unique mixed-use destination that complements the established culture and history in this western area of Shanghai. 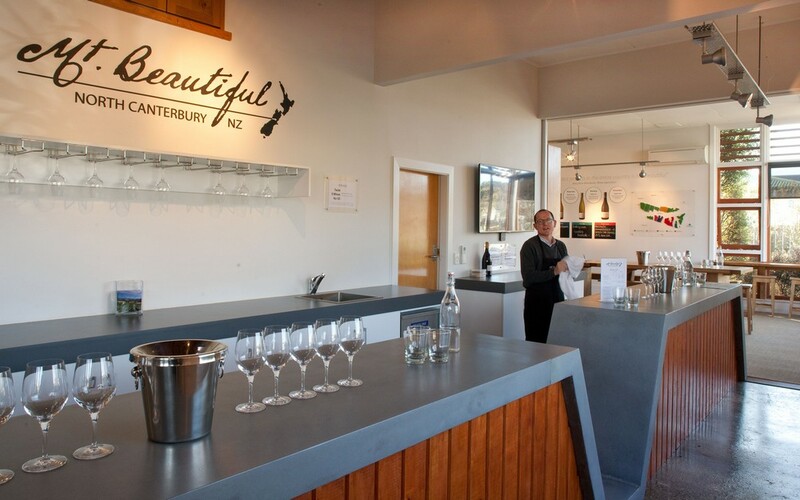 “The biggest challenge for this project was the existing site conditions,” Mr Schoutrop said. “The mall is divided into two zones by the existing heritage buildings on the site. The ‘Great Lawn’ that sits between the buildings is a large open green space that, combined with the school buildings, forms a unique meeting and gathering space for the residents and customers alike. “Each part of the mall then houses different uses and spaces for different customers. 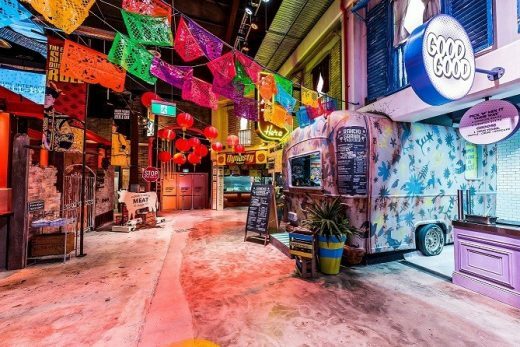 A mixture of fashion and lifestyle tenants with entertainment, and dining options, combines to create a strong sense of journey and place for the locals and visitors alike,” he said. The retail component will encompass 114,761m2, almost half of the development’s 260,933m2 total size. 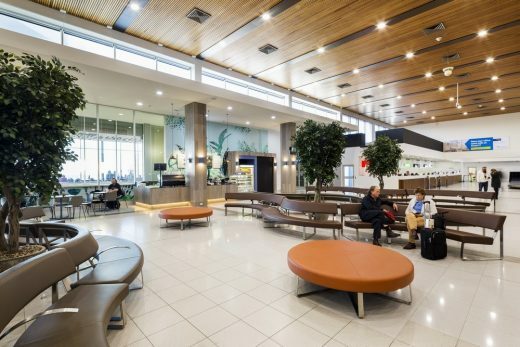 The Buchan Group’s design for Launceston Airport Terminal has won the Commercial Award in the 2017 Australian Institute of Architects Awards (Tasmanian Chapter). The annual Tasmanian Architecture Awards recognise the finest accomplishments of Tasmanian architects. The Commercial Award honours the project judged to showcase excellence in design in the commercial sector. Commenting on the win, project director and head of design at The Buchan Group, Grant Withers, said it was gratifying for the Buchan Group to be recognised for the quality of their design. “The team is excited and honoured to receive this significant award as it highlights our commitment and proven track record in transforming commercial and retail environments. 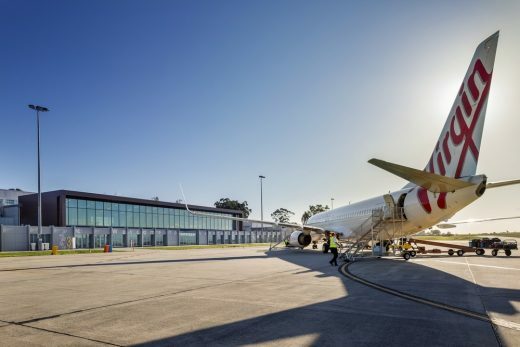 “It is a very modest project and the design philosophy is simple – moving the terminal closer to the runway so that the public can feel the excitement of air travel. 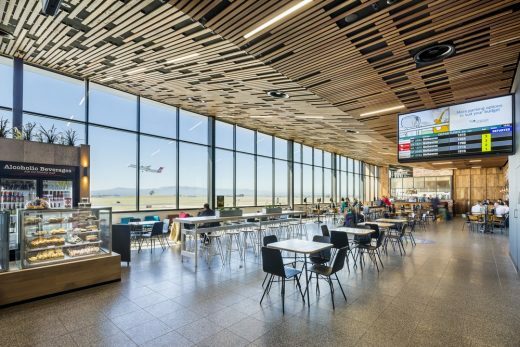 The floor-to-ceiling glass façade creates a big picture window to view the planes take-off and land, surrounded by the striking mountain ranges beyond. Named award winners progress to the National Architecture Awards to be announced in Canberra on Thursday 2 November. 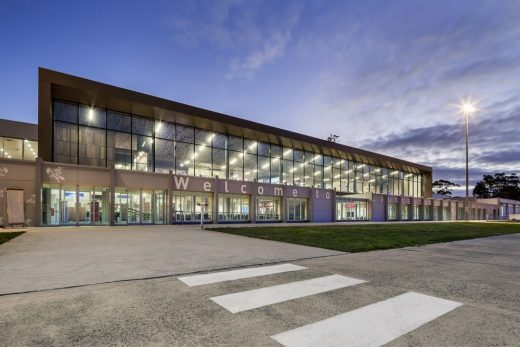 The Tasmanian chapter of the annual Australian Institute of Architecture Awards program offers an opportunity for public and peer recognition of the innovative work of Tasmanian architects. The program also provides the Institute with a valuable mechanism to promote architects and architecture within Tasmania, across Australia and internationally. 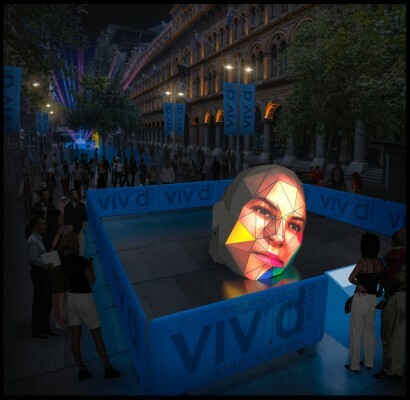 People experiencing Sydney’s vibrant nightlife will have chance to experience a whole new side to Martin Place’s landmark Lloyd Rees water fountain during Sydney’s 2017 Vivid festival. 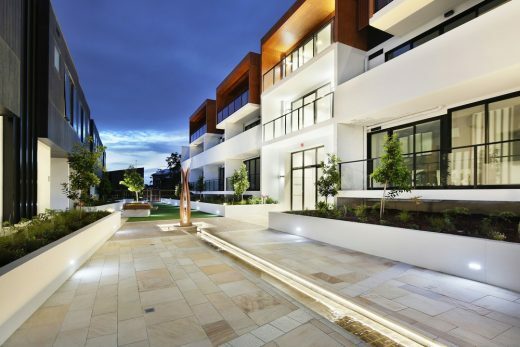 Northcote Hill Townhouses and Apartments recently reached completion, delivering a residential rarity on the premier hilltop site. The boutique four storey development for Landream comprises 35 townhouses and nine apartments that capitalise on the sloping site. Positioned near the peak of Northcote Hill, many residences afford panoramic views towards the city and picturesque inner suburban Melbourne. Project Principal David Forbes said the development offers a unique blend of luxury, convenience and privacy. “Northcote Hill’s point of difference is the stunning elevated outlook combined with homes designed to the finest detail. Crafted with liveability in mind, the enduring and contemporary interiors offer open plan living spaces with engineered timber flooring, European appliances and reconstituted stone bench tops. Each home benefits from a generous courtyard, balcony or terrace and a sense of community is derived from the central private garden. A water feature reflects the development’s elegant contemporary design and presents a quiet, contemplative space for residents. 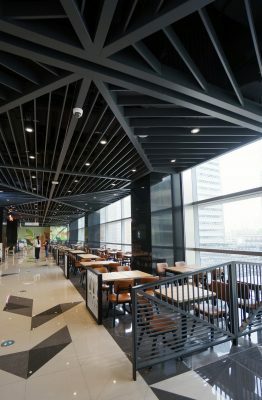 The Atrium at Greenwood Plaza, completed in March 2016, has been revitalised, transforming the food court into one of the most modern and exciting casual dining precincts in the area. 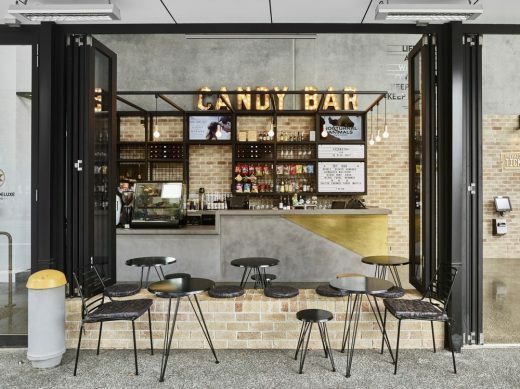 An old Brisbane dilapidated cottage has been transformed to form the heart of a new entertainment and retail hub called the Hawthorne Deluxe Precinct following a $3.5 million refurbishment and redesign by acclaimed Australasian architectural firm The Buchan Group. 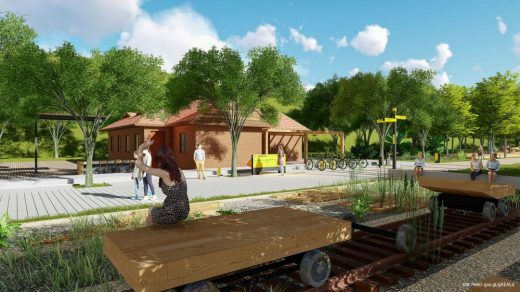 15th of November 2016 – Award-winning Australasian design firm The Buchan Group has applied its expertise in creating vibrant community spaces to the design of Zuccoli Plaza, a village precinct located in the heart of the new Northern Territory masterplanned suburb of Zuccoli. 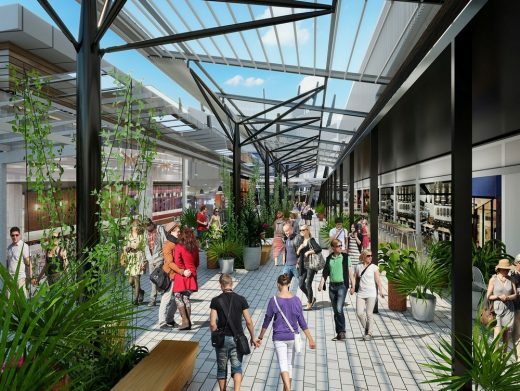 Currently under construction, Zuccoli Plaza will provide a local retail centre integrated with the adjoining park to enhance the village lifestyle for local residents. The Buchan Group was appointed by The RR Morriss Group in 2014 to provide architectural, interior, graphics branding and signage design services to the project. 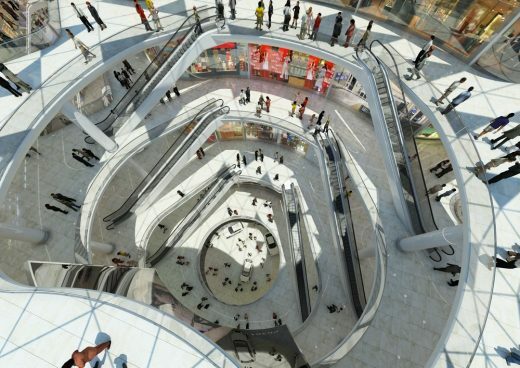 Upon completion, the plaza will encompass a total of 3,400sqm of retail space with additional covered areas incorporating seating for residents and community groups to meet. 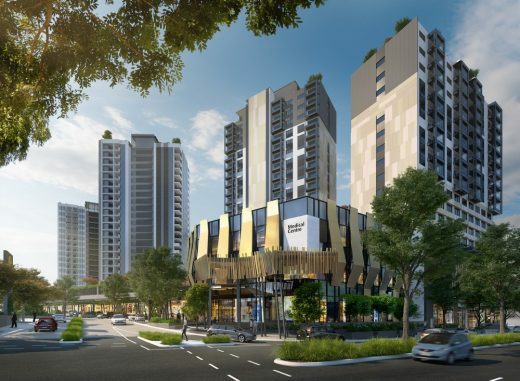 Buchan Group Senior Associate Anthony Tai said the integration of the surrounding parkland complemented the Zuccoli masterplan concept of providing “a natural edge to village life”. “The defining architectural idea of Zuccoli Plaza is the creation of a village plaza which connects, integrates, and extends an adjoining park into the site,” he said. “Zuccoli Plaza is designed as a covered gathering space where a range of community-based activities can be accommodated, further enhancing the village lifestyle of Zuccoli. “The plaza’s adjoining park is further extended into the site by arbour structures which provide shade and cover to the pedestrian walkways. “The terraced park interface will act as a seamless transition between the park and plaza and will provide relaxed and comfortable seating for social interaction between local residents. Construction of Zuccoli Plaza is anticipated to be completed in late 2016 / early 2017. 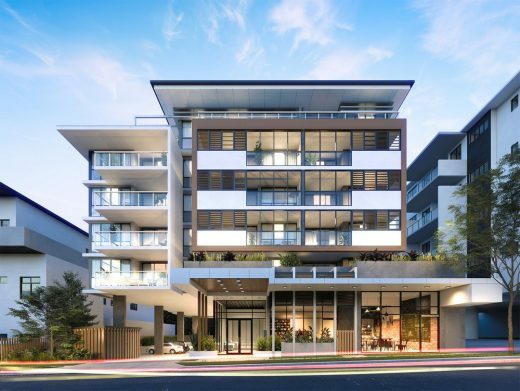 Brisbane’s inner north welcomes an $18 million residential development in Lutwyche. 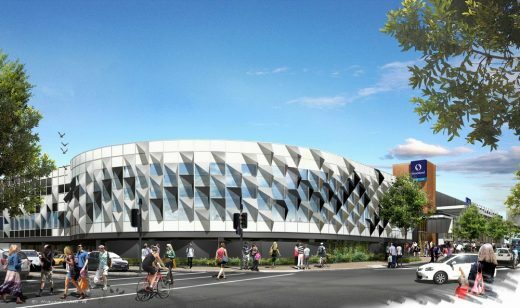 Upon completion in May 2018, this retail destination will boast a combined 69,300sqm of retail space, a 900-seat cinema complex and approximately 3,100 car parks. 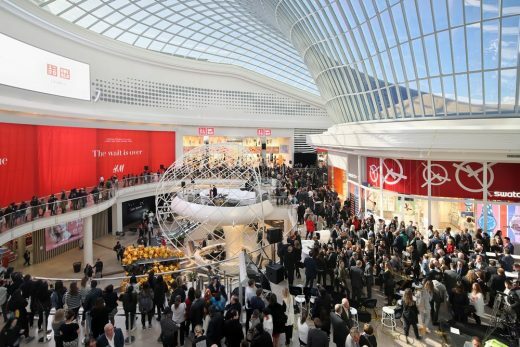 Stage One of a $500 m redevelopment has opened, showcasing the design of a new two-level retail galleria precinct. The first stage of Chadstone’s $660 m redevelopment was unveiled today, reinforcing the retail centre’s infinite capacity for reinvention. A striking 7000 square metre grid shell roof presents a milestone in structural design innovation as it arches over the atrium, soaring some 30 metres above the ground. Sympathetic to the timber-themed design of the adjoining Two Rivers Cafe, the fitout uses a blend of natural materials to reflect the environment of the vineyard. The first stage of the NZ$130 million Five Mile Retail Centre development at the gateway to Queenstown has begun welcoming residents and visitors alike, converting the site from an abandoned eyesore into an enticing state-of-the-art shopping precinct. 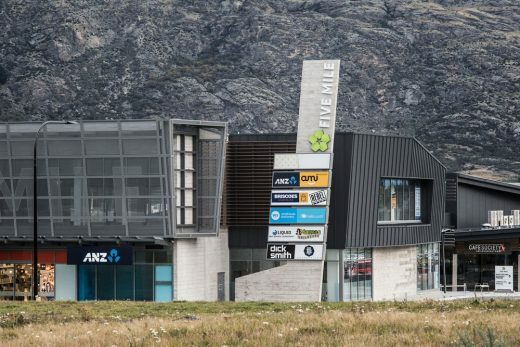 A former hotel in the heart of Timaru will make way for a $42 million hotel, apartment and corporate office complex under a proposal designed by award-winning Australasian architecture firm The Buchan Group. Work has begun on a $74 million development masterplan for the Shellharbour Workers Club that will not only transform the long-standing clubhouse, but also deliver an extensive range of new community facilities, from aquatic and fitness centres to a hotel. Established in 1956, the Club moved in 1983 to its current location on an 8ha site on Wattle Road, Shellharbour. 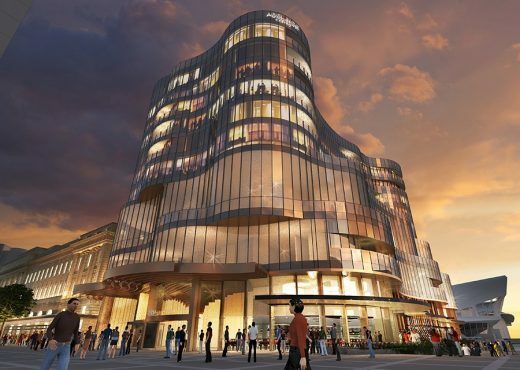 Planning Approval of the $300m expansion of SKYCITY Adelaide was recently granted. It will feature a luxury hotel, premium gaming spaces and additional signature restaurant options. 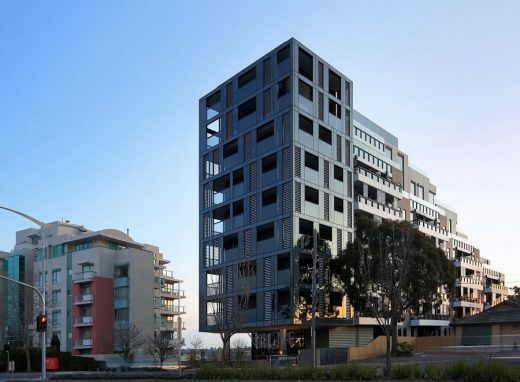 The development, featuring a range of one to three bedroom apartments with a series of large penthouses, is set on a steeply sloping site opposite Westfield Doncaster. 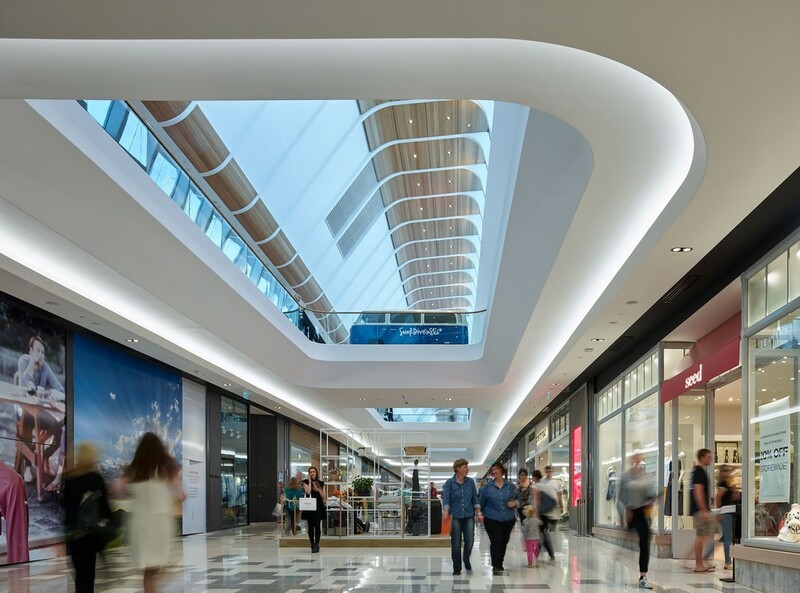 The Buchan Group’s work on the Robina Town Centre was initially lauded late last year by the International Council of Shopping Centres (ICSC), when it won a Gold Design Award in the Design and Development category at the ICSC Asia Pacific Shopping Centre Awards. Now the project has again been acknowledged by the ICSC as an ‘Honoree’ in the same category at its annual VIVA “Best-of-the-Best” Awards held in Las Vegas in May. 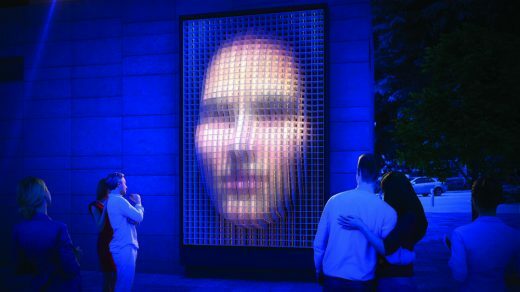 The Buchan Group recently completed work on three diverse, innovative projection projects in South East Queensland, showcasing the latest techniques and creative flair. The projects included 111 Eagle Street, the 34th International Geological Congress, and the FSC Conference’s Milestone Gala. Sydney locals will soon have a new way to cool down in the summer months, with construction work beginning on the newest Wet’n’Wild water park located in Prospect, New South Wales. 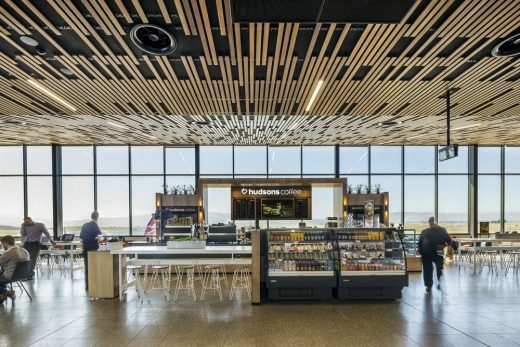 Acclaimed Australasian design firm The Buchan Group were appointed by Village Roadshow in March 2012 to manage the master-planning, architecture, interior design, graphics and signage components for the project. Surfers Paradise’s retail scene is about to get a $5 million boost, with construction underway on Stage 1 of The Mark Shopping Centre refurbishment project. The project will include a new arcade linking Orchid Avenue to the Soul Surfers Paradise development, delivering the final stage of the long-awaited ‘River to Beach’ pedestrian link in Surfers Paradise. 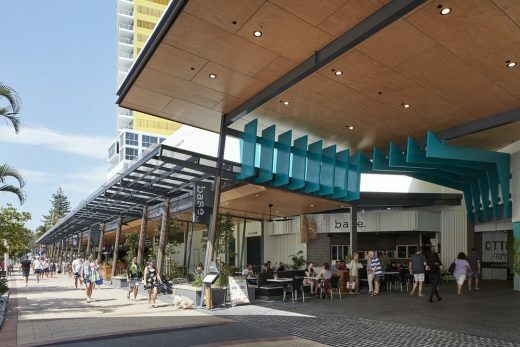 Wintergarden opened its doors this month, unveiling its new design to Brisbane shoppers and showcasing some of The Buchan Group’s most innovative retail work. 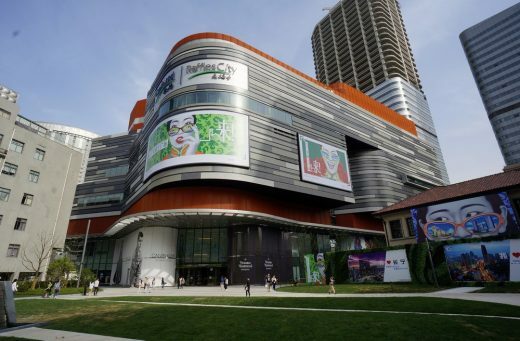 After a four year redesign and redevelopment the landmark shopping destination has again started welcoming shoppers. A 15 level commercial tower on the site of 358 Wickham Street in Fortitude Valley is the latest proposed development for Queensland’s fastest growing commercial precinct. 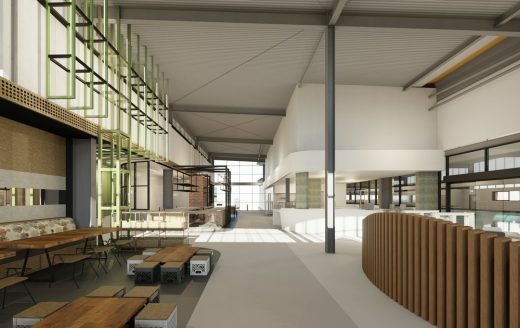 Valley-based architecture and design firm The Buchan Group have been appointed to the project on the fringe of the Valley Gateway precinct, with a brief to integrate the commercial development with Acland Lane, a proposed future laneway. 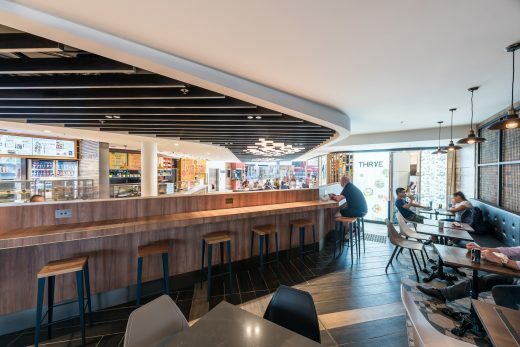 Brisbane design firm The Buchan Group has shown its strength in the retail sector with the practice’s architectural design of the new shopping precinct in New Zealand’s Cashel Mall, Christchurch. Following the devastating earthquake in February this year, The Buchan Group Brisbane, in conjunction with their Christchurch arm, was invited to join the Re:START Group to draw on its retail expertise to help re-establish a temporary retail hub in the Christchurch CBD. The Buchan Group is an architectural, interior and graphic design firm, servicing clients for more than 120 years. The Buchan Group traces its history back to 1890, with the opening of the first practice in Geelong, Victoria. The Brisbane practice of The Buchan Group was established in 1983. April 23, 2018 in Architects.